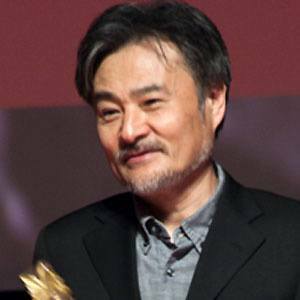 Director of popular Japanese horror films such as Pulse and Cure. He began making his own 8mm films after studying at Rikkyo University in Tokyo. He was a published author who wrote a novelization of his own film Pulse, as well as a history of horror cinema. He was not related to legendary director Akira Kurosawa contrary to popular myth. His directing style was often compared to that of 2001: A Space Odyssey director Stanley Kubrick.